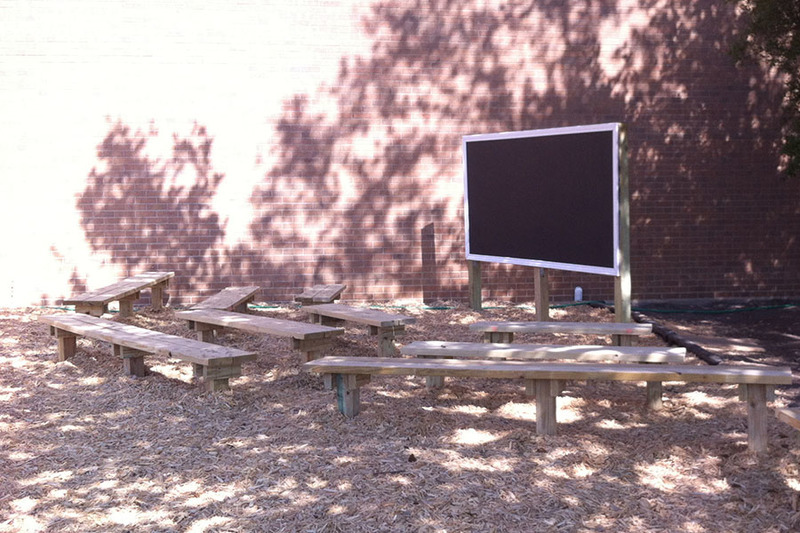 How To Build an Outdoor Classroom | KaBOOM! An outdoor classroom is a great way of encouraging schools and other organizations to take advantage of their outdoor playspace and turn the entire area into a learning environment. Set aside the  2x6x8' boards. They will not be cut. Take the  2x6x10' boards. Cut each into  72" piece and  48" piece, for a total of  2x6x72" pieces and  2x6x48" pieces. Take  of the 2x4x8' boards. Cut each into  8" pieces, for a total of  2x4x8" pieces. Because of the width of the saw blade and discrepancies in the length of the lumber, you may not get  8" sections from each 2x4x8' board. If this is the case, use the leftover lumber from the upcoming step to cut more 8" pieces. Take the final 2x4x8ft board. Cut  more 2x4x8" pieces from it. You will now have a total of  2x4x8" pieces. Take the  4x4x8' boards. Cut each into  30" pieces, for a total of  2x4x30" pieces. Use the screwdriver bit, the 2 ½" deck screws and a drill to attach one 2x4x8" piece to each side of the 4x4x30" legs (as seen in the picture at right). Use three screws for each connection. Connect the 4x4 legs to the 2x6 seats as shown. The 8' benches will have three legs, while the 6' and 4' benches will only have two legs per bench. The outer legs should be 3 ½" from the edge of the bench. 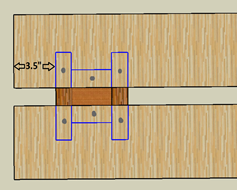 On the 8' benches with three legs, the middle leg should be centered on the 4' mark. Use six screws into the top of the 2x6 to attach each of the legs. Be sure that two screws go down into the 2x4 braces and one goes into the 4x4 leg (as shown). Dig holes for the benches' legs. 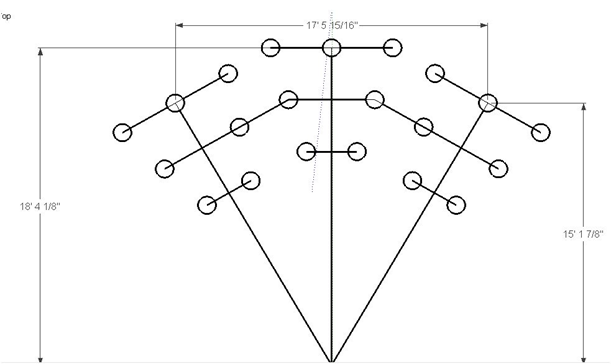 Follow the layout diagram, with the 8' benches in the back row, 6' benches in the middle row, and 4' benches in the front row. Bench heights can be staggered for stadium-style seating by digging holes at different depths for each row.